Over 70 million people use Snapchat lenses and face filters each day on their smartphones. That’s more than the entire UK population. Now Snapchat is letting anyone become a lens creator, with its Snapchat Lens Studio tool. So, you too can make your own Snapchat beauty filter, bunny ears lens, and other fun effects for millions to use. Snapchat is about to get a whole lot better. Whether you use Snapchat or not, there’s no escaping the face filter selfies taken and uploaded online by millions of Snapchatters worldwide. If you’ve ever seen a photo of a friend or family member with dog ears, or virtual angel wings, chances are it’s a Snapchat filter you were looking at. They’re posted all over social media, from Instagram to Facebook, and even online dating profiles. Snapchat isn’t for everyone, but for the 70 million plus who play around with Snapchat lenses each day, it’s a lot of fun. With Lens Studio, Snapchat is hoping its new creative tool for Mac and PC will make Snapchat even more exciting for you to use. The app is aimed towards artists, students, developers and animators, but is available for anyone to download. In theory it should open the floodgates for more exciting augmented reality effects, not just face filters to be useable on the Snapchat app on your Android or iOS smartphone. 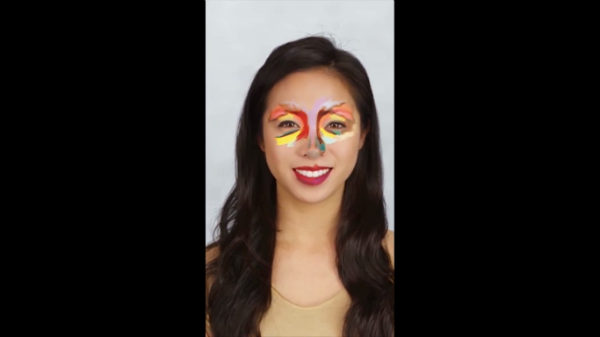 If you’re lucky you just might make the next ‘Dancing Hotdog’, which went viral last year, or the latest must-use beauty filter. Even if you don’t want to make anything, you’ll soon be able to enjoy creations made by others in future. How do I create a face filter? 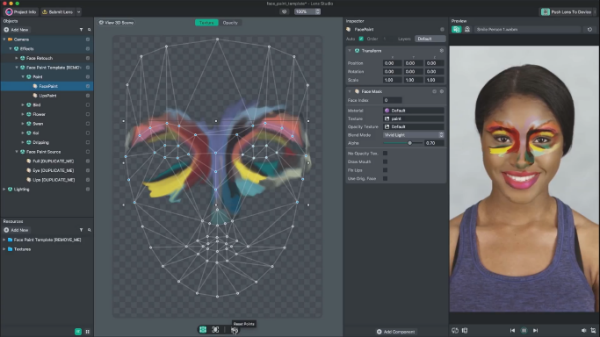 Helpfully, Lens Studio has uploaded a four-minute video tutorial showing you how to make a face filter using the Face Paint tool in Lens Studio. The tool provides a few examples to use for inspiration. Here you can adjust the colour, placement, and tailor the way your filter will react to a person’s face. Once you’re happy with your design, you can preview it within the Snapchat app on your smartphone. Just scan the passcode on screen, and wait a few seconds to see your creation in the palm of your hand. Now you’re ready to submit it for friends to use, and hopefully share it with the rest of the world. Finger crossed Lens Studio will bring even more fun face filters to use on our phones. Head over to the Snapchat Lens Studio Page, and hit the download button at the top of the screen. Think you’re creative enough to give Snapchat Lens Studio a go? What would you make? Or why not drop us a comment below if you’ve already tried it.